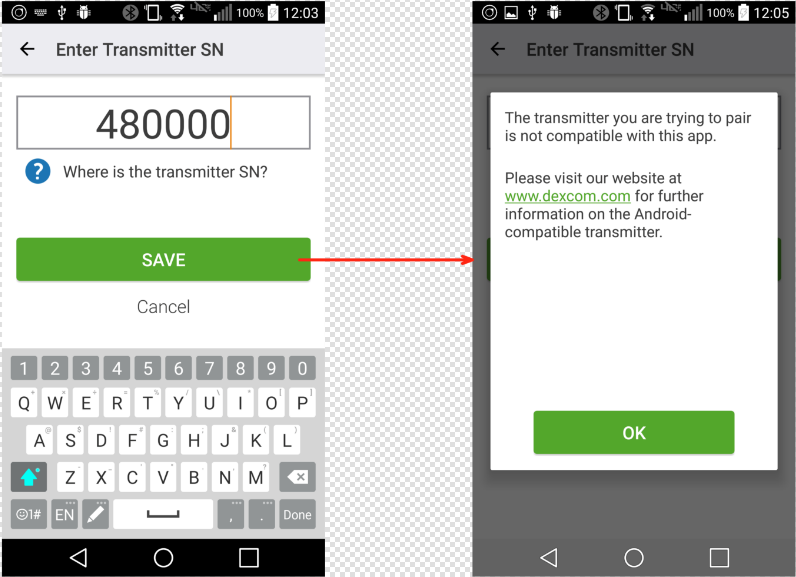 Why is my Transmitter not pairing with the G5 Mobile Android App? The Transmitter you are trying to pair is not compatible with this app. Transmitters shipped before November 9, 2016, will not work with the G5 Mobile Android app. You may be eligible for a new transmitter immediately or in the very near future. Please contact Dexcom or your preferred distributor to order a new transmitter.